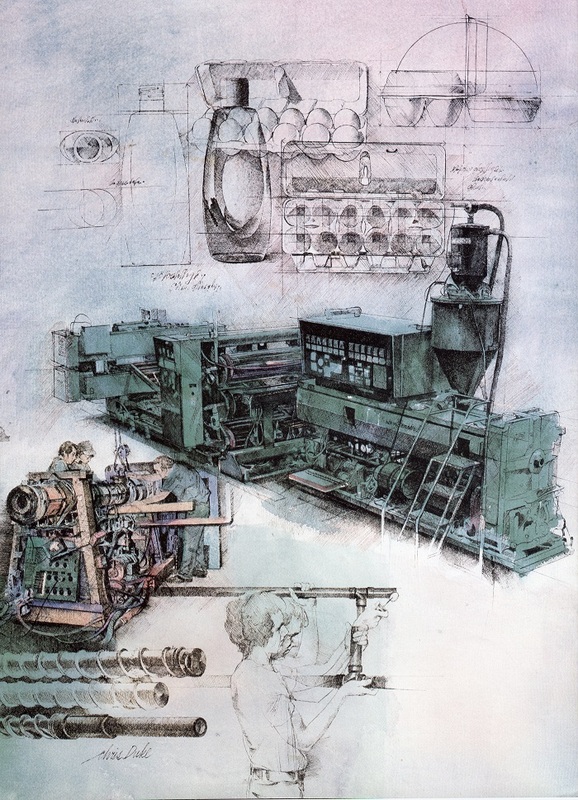 This piece, printed in an annual report for Condec, shows a pipe extruder in Ohio. It was an enormous machine, and thus challenging to photograph. While my factory guide was deeply occupied in conversation, I scooted up an industrial metal ladder attached to the wall to nab this bird’s eye view. Gratefully, I got a few shots before being frantically ordered down. The extruded plastic could be formed into all kinds of objects. Imagining myself as Leonardo inventing diverse product configurations, I included a few.